MFA Producing graduate Robert Pallatina’s directorial feature debut, Fortune Cookie, co-produced by Sony and The Asylum, aired on the Fuse network this past weekend. His film is a horror/thriller set in present day Los Angeles about eight friends who fall victim to an ancient curse after receiving mysterious black fortunes at an Old Chinese restaurant. The movie stars James Hong (Big Trouble In Little China), Dina Meyer (Starship Troopers) and Ryan Merriman (Final Destination 3). Pallatina initially developed the script after being offered an already greenlit feature project from The Asylum, a production company that he frequently works with. Thus far, 2016 has been very busy for Pallatina as he’s currently editing a number of features, developing scripts, as well as pitching himself to direct another film. Fortune Cookie will continue to air on Fuse this upcoming Wednesday, May 18th and Thursday, May 19th. 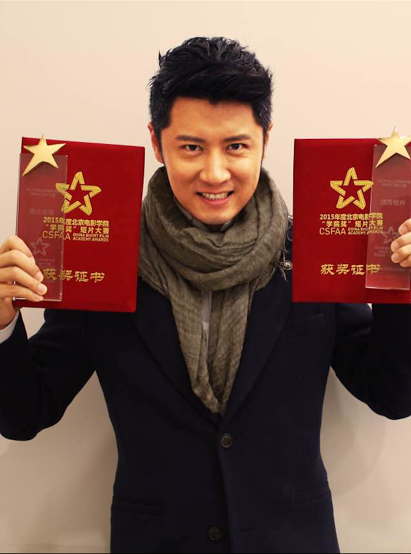 Congratulations to New York Film Academy Master of Arts in Film and Media Production student Ren Zhong, whose first semester film New Life won both Best Short Film and Audience’s Favorite Short Film at the Beijing Film Academy Awards. 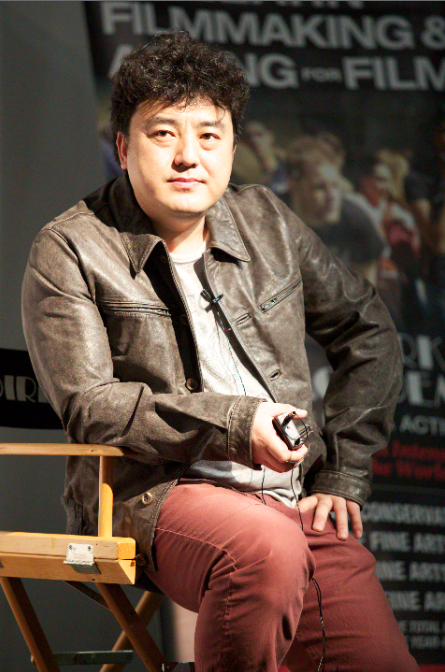 Zhong is an award-winning Chinese actor who has appeared in a number of films, including Beginning of the Great Revival 建党伟业 (2011) and Intern 青年医生 (1997). He’s also starred in several Chinese television series, such as Beijing Youth 北京青年 (2012), Man Group 男人帮 (2011) and Marriage Battle 婚姻保卫战 (2010), among others. Zhong’s short musical film features a girl who struggles with and, ultimately, matures from a difficult breakup with her boyfriend. Normally, a close friend would rise to this occasion, but more often than not, they do it out of obligation as a friend. However, this story depicts a helping hand from a stranger, who did it out of trust, sympathy and compassion. We are all expected to help one another as gregarious individuals. It is from this extraordinary experience that the main character becomes even stronger—mentally and psychologically. Indeed it is quite a compelling film to people from all different backgrounds, and an incredible accomplishment for a student film. The China Zhejiang Film and Media Group recently visited the New York Film Academy’s 17 Battery location to get an exclusive behind the scenes tour of the New York City campus. The international group was introduced to the visual and performing arts school by Dean of Asian Students Joy Zhu, as well as President Michael Young and Senior Executive Vice President David Klein. The Chinese film students were able to get a firsthand look at the breathtaking views that Battery Park has to offer, which includes New York Harbor, Ellis Island and The Statue of Liberty. The tour included some of our classrooms, which were uniquely designed from scratch to meet the specific needs of the hands-on programs, including state-of-the-art production studios and sound stages with courses focusing on filmmaking, acting, musical theatre, screenwriting, 3D animation, producing, photography, broadcast journalism, and more. Indeed it was a thrill welcoming budding young talent from China, and we hope to meet with them and other international students in the near future! Documentary Filmmaker Nancy Hanzhang Shen is in charge of New York Film Academy’s Chinese Social Media and works as a liaison with Chinese colleges. Her latest documentary film Why Am I Still Alive was a finalist for the US Student Academy Awards®2012 and Winner of Best shorts Documentary Festival 2012. The film has screened at the Academy Theater at Lighthouse International in New York City, White Sands International Film Festival 2012, and the China International Education Fair on Cultural & Creative Industries Exhibition. 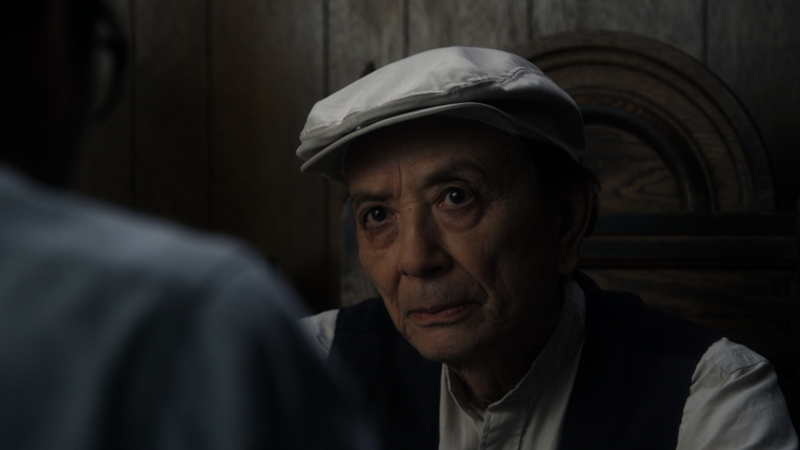 The film is currently screening at New York City Independent Film Festival 2012. The NYC Independent Film Festival will screen the film at the Producers Club on Sunday, Oct 21st, 2012.